The world has progressed so fast that smartphones are no longer a luxury but a necessity, the entire scope of information is made available using your smartphones and the apps installed in it. With Reliance Jio launching such lucrative plans and its competitors reducing the pricing to match up, it has never been easier to be able to buy and use a smartphone to its fullest. However, for someone on a budget, they should be careful in making the buying decision so as not to choose a phone that has a short usable life. 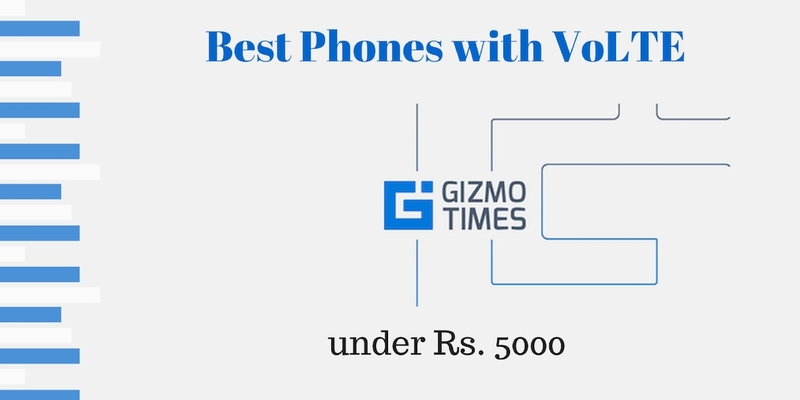 If you are in the market looking for a budget phone at around 5000 Rs then this list is for you, we’ve compiled some of the latest and best smartphones that you can get in the market for around 5000 INR. Check the list below for the best phones under Rs. 5000. 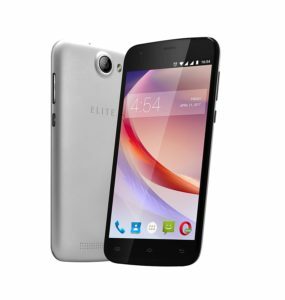 XOLO’s latest phone in the budget range is the Era 3 that had come in with the price of Rs. 4999. 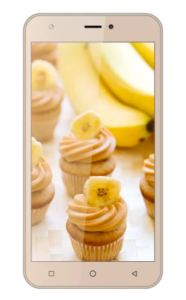 It comes with a 5-inch HD display (1280 x 720 pixels resolution), and there is a quad-core processor along with which, you see 1GB of RAM and 8GB internal storage. As for the camera combination, there is an 8-megapixel rear camera and a 5-megapixel front-facing camera. Here, even the front-facing camera has a flash support. The Dual SIM phone has VoLTE support and for the storage expansion, there is a dedicated MicroSD card slot offered as well. The phone being available exclusively on Flipkart, it has a 2500 mAh battery and the MRP of the device is Rs. 4999. XOLO is one of the known brands to offer devices in the budget segment and it has one of the cheapest 4G LTE smartphones that you can get for under 5000 Rs. This device has a 5-inch HD resolution display and sports a 1.3 GHz Quad Core processor by Spreadtrum paired with Mali 4000 GPU. The only let down of the device is the 1GB RAM that it comes with, the storage on the device is 8GB which can be expanded using a MicroSD card slot. The device has an 8MP rear shooter and a 5MP front shooter and both of them can record videos in 720p which is acceptable considering the price range. The Xolo Era 1X comes with Android Marshmallow installed and has Dual SIM support. Apart from the regular connectivity features including GPS, Wi-Fi and Bluetooth 4.0, the device also comes with 4G VoLTE support thereby rendering it compatible with the Jio network. With a 2500 mAh battery the device will last you a day of moderate usage, unlike the latest smartphones, the battery on this device is hot-swappable and can be replaced by the user themselves if they choose to. 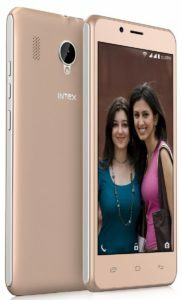 Intex recently launched their Intex Aqua Style about a month ago in August 2017 and it certainly is one of the best smartphones under 5000 that you can buy. The device comes with a 1.3 GHz Spreadtrum processor and a 5-inch display of 854×480 resolution. Although the device doesn’t have the sharpest display, there is a lot more to talk about the device itself. The device comes with 4G VoLTE support and has all the general connectivity options. The device is backed by 1GB of RAM and has 16GB of internal storage to top it and the storage can be expanded up to 64GB via MicroSD card. 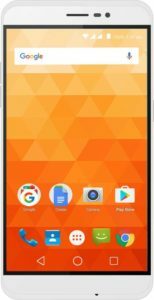 Installed on the device is a newer version of Android 7.0 Nougat which enables some of the latest features and gives the device an edge over its competitors. The battery on this device is again a fairly sized battery at 2500 mAh which should again last a day of moderate usage, However, the battery on this device in non-removable unlike the previous one. This device from Swipe was launched in February 2017 and comes packed with a 5.5-inch 720p HD display and 4G VoLTE support. 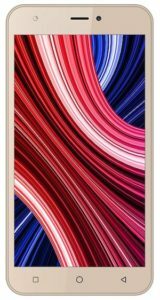 Even this device sports a 1.3GHz quad-core processor like the previous two devices but this has a bumped up to 1GB RAM and comes with 8GB internal storage which can be further expanded to up to 128GB via MicroSD card. The Swipe Elite VR runs a skinned version of Android 6.0 Marshmallow OS which has support for 12 languages. The camera on this device is a 13MP camera and the front shooter is a 5 MP sensor. The device supports Dual SIM and VoLTE in terms of connectivity and comes with a 3000mAh battery which should be fine for a day of moderate usage. Hyve is one of the not so well-known companies until a few months ago when they came up with their series of stock Android devices. This particular device from Hyve is a 5-inch smartphone with a 720p HD resolution display. The device is powered by a 1.3 GHz MediaTek processor and a Mali T720 GPU. The RAM on this device is pretty good at 2GB and the internal storage on the device is 16GB which can be further expanded via MicroSD card to 64GB. The place where the device stands out is the Camera section, boasting a 13MP rear shooter and a 5MP front-facing camera, the device has a lot to offer. The 13MP rear camera has the ability to shoot video in 1080p FullHD. The major letdown of the device is the 2000mAh battery in it but the device tries to compensate for it by offering a truly bloat free stock Android experience. Panasonic P77 has launched a while ago in August 2017 and despite a few downsides of the device, it still is promising and comes from a more reliable brand. The device comes with a 5-inch IPS display with 720p resolution. The device runs on Android 5.1 Lollipop which is a little old but runs buttery smooth on the device. The processor on this device is a 1 GHz MediaTek quad-core processor and it is paired with 1GB RAM. The storage on this device is 16GB which can be expanded to 32GB. The device is fairly light at just 126 gms and has all the general connectivity options including 4G VoLTE support. The camera on this device is decent, the rear shooter is an 8MP camera and the front shooter is a 2MP camera. The battery is disappointing at 2000mAh which is also non-removable. This device is almost a year old but still has the specs to compete with the recent offerings from other companies. The device is powered by a MediaTek Quad Core processor clocked at 1.3GHz and it is paired with a Mali T720GPU. The display on the device is a 720p display of 5.5-inch size and it looks great for media consumption. The device comes with 1GB of RAM and 8GB of storage which can be further expanded to up to 32GB via MicroSD. The camera on this device is a 5 rear + 5 front combination and the rear camera is capable of shooting videos in 720p. The device runs Android 6 Marshmallow and it is the only device in this list or in the price segment to offer in-built VR support in the software that lets you enjoy VR content on the phone without any problems. The device has all the general connectivity options and also supports 4G VoLTE. The battery on this device is also pretty impressive at 2800mAh and should last you over a day of moderate usage. This is an ultra-budget offering from the Micromax brand and the device comes with a 4.5-inch display with a resolution of just 854 x 480. The device is backed by a 1 GHz MediaTek processor and a Mali T760 GPU. This device comes with 1GB RAM and 8GB of internal storage which can be expanded via a MicroSD card slot. The device comes with a rear 5MP camera and another front-facing 5MP camera which is pretty good at taking selfies. The device comes with 4G support but doesn’t have VoLTE standard support. The battery on this device is pretty small at just 1750mAh. The other connectivity features on this device include WIFI, Bluetooth, and GPS. The device runs an outdated version of Android 5.1 Lollipop which was one of the latest when the device was launched. This device was launched in January 2017 and has a 5.5-inch IPS display with a 720p HD display. The device is powered by a 1.2 GHz MediaTek quad-core processor and is backed by a Mali T720 GPU. The device has 1GB RAM to back it and has 8GB internal storage which can be further expanded to 32GB via MicroSD card. The device runs on Android Marshmallow 6.0 and has an 8MP rear camera and a 5MP front shooter. For the price range, the camera does perform quite well. The battery on this device is pretty impressive at 2800mAh and can easily last you over a day of moderate usage. The device has 4G VoLTE support and other general connectivity options including Wi-Fi, Bluetooth, and GPS. 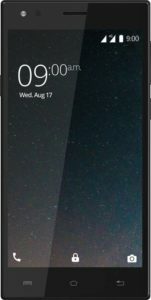 Although the device is on the thicker front compared to the other devices in this list the specifications that it has to offers are really good for the price range. 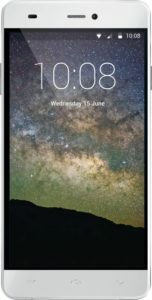 Although the device is a little old, it is unique compared to the other phones on this list and is from a very reliable brand. The device comes with a Spreadtrum processor and 1GB RAM. The storage on this device is 8 GB which can be expanded to 128GB via MicroSD card. The device display is just a 4.5-inch screen at 800 x 480 resolution which still does a good job for what it is. The device is powered by Tizen OS 3.0 instead of Android. It has special features like the Ultra Data Saving mode which compresses all the data that is accessed over the cellular modem and is powered by opera max. It also comes with a My Money Transfer app which lets users keep a tab and manage their transactions. The device also has an S Bike mode which will play a pre-recorded message for all callers when the device owner is riding, this is a Samsung initiative to help reduce accidents. The device sports a 5MP primary camera and a 5MP secondary front-facing camera. This device also comes with all the general connectivity options including Wi-Fi, GPS, Bluetooth 4.0 and even 4G VoLTE and has a 2050mAh battery which might still be enough, thanks to the well optimized Tizen OS 3.0. 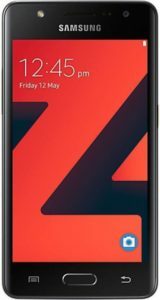 Note: Although the price of the Samsung Z4 keeps fluctuating, you can often find it for about Rs 5000 which is a great price for the device it is.